What are the Best Probiotics For Dogs and Do Our Pets Need Them? I am sure by now everyone has heard of the benefits of probiotics. There are yogurt commercials, health food stores, and grocery stores touting how it can improve people's gut flora and general health. But are the the best probiotics for dogs a nd do our pets even need them? Do dogs receive the same benefits from ingesting probiotics as humans? What is the best way to administer probiotics to your dog? I'll answer all these questions and more in this article. But why would you give your dog probiotics in the first place? Many vets agree that improving your dog's gut flora and digestive tract through administration of probiotics, which has been proven with research (links below), may be the only way. Not only that, but probiotics may also improve many other health factors in canines, from skin and coat to immune system and general well-being. So let's talk about these supplements, how to give them and how exactly they can benefit our pets. It turns out that not only people, but dogs can also benefit a lot from consuming probiotics, and this has been supported by a vast amount of research. Giving probiotics for dogs, pets receive all the same benefits that people do from taking these supplements. 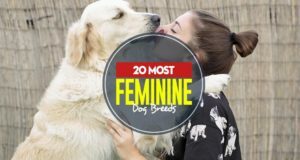 Research in this are is still ongoing, but we've already seen many studies on how probiotics improve dog's skin and coat, how probiotics help with dog's digestion and diarrhea, assisting dog's digestive tract and fighting several types of worms in dogs, and can even improve canine's immune system. What I find most interesting is that probiotics can help with stress in pets. Stress is a big health factor that affects general well-being of our canines. Therefore, a good way of calming down a dog is one of the things most pet parents will be interested in, and if we can reduce the amount of stress our dogs experience just by giving them probiotics, this may just be a life saver. It's clear that there are far more benefits from giving probiotics to dogs than just improving their digestive tract and gut flora. As more research emerges, we can see how much of our pets' health (and our own, actually) depends on a healthy balance of good bacteria in our gut. Probiotics for dogs are not considered a drug, therefore, the production of probiotics is not regulated by the FDA like it is for other medications your dog receives. It is best for you, as a consumer, to know a little bit about probiotics before you start using them with pets. As pet owners, we need to make sure that we get the best value and benefits for our dogs. It is also our responsibility to ensure the safety of these products that we buy for our canines. Few regulations mean there may be unsafe probiotics for dogs available, or those that are ineffective. If you decide to fortify your pet's diet with probiotics, you need to make sure, whether you are purchasing online or in a store, to read the label of every one of those best probiotics for dogs you decide to give your dog. There are certain bacteria that has been shown to work best for dog's gut flora and general health, while other bacteria may be useless. Bacteria are the beneficial microbes that probiotic supplements contain. This bacteria is responsible for improving your dog's gut flora and many other health factors, according to research. When choosing the best probiotics for dogs to give them on a daily basis, you also need to check for the number of CFUs (Colony Forming Units). Colony Forming Units are the measurement of viable bacteria in the probiotic. You should get an item that has no less than 3-6 billion CFUs per dose. Now that you know what to look for, what is the most optimal way to administer these best probiotics for dogs? There are several ways on how to give probiotics to dogs, and I will look at the pros and cons of each. There are many dog foods available that already have probiotics in them. The Honest Kitchen is known for including probiotics, as well as many other brands of healthy dog foods. However, dog food is NOT the best way to administer the probiotic bacteria. The reason being is that some of the microbes can be killed during the manufacturing process, and whatever else happens during the making of dog food means not enough active bacteria will remain. Studies have shown that majority of commercial dog food brands simply do not contain enough probiotic bacteria to make any difference to your dog's health. Giving probiotics to dogs with their dog food may be better than nothing, of course. This is usually a good option for dogs that may be picky eaters. It is also convenient for families on the go. Feeding dog food that contains probiotics is also much simpler than trying to give your pup a pill. If your dog is okay with swallowing dog supplements, which you can always put them in a soft treat pouch or your dog's food, then capsule form is considered a better way of dosing probiotics (more on this below). The best probiotics for dogs are usually made in a capsule form or powder form (depending on the brand). Either one is fine, and since it is a specific dosage that contains a larger amount of active bacteria, and you know how much of the good bacteria your pooch will be getting, this may be a better option. 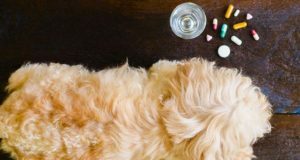 Worried about giving your dog pills? Watch the video and read the guide below. For many pet parents, powder may be the best way to give their dogs probiotics on a daily basis. You can purchase a container of lose probiotic powder and then just sprinkle the the needed amount onto your pet's food, treats, or even in his water. The probiotic powder goes through the least amount of manufacturing, so it has the probability to have the most CFUs. Powder is also much easier to give your dog than a pill. Yogurt is a great, natural source of some of the best probiotics for dogs you can find. If your dog likes yogurt – and most pets do – it may be the best way to get more live cultures into his digestive track on a regular basis. Just remember that some dogs are lactose intolerant (even though yogurt contains very little lactose, and some brands are lactose-free). Also, some of the additives (like xylitol) are toxic to dogs, thus make sure to always double-check the ingredients of specific yogurt brands you buy for dogs. Finally, even though yogurt does contain live bacteria, the amounts may simply not be enough, especially if that yogurt hasn't been stored properly, according to research. In order to get your dog enough good bacteria through feeding yogurt, you're going to go way above your pet's caloric requirements. For example, The Bark magazine even encourages pet owners to make their own DIY probiotics for dogs instead of purchasing specific brands. This may be very effective for some pet parents and their dogs. What about human grade probiotics? You may be tempted to give your dog probiotics that are intended for human use. Human probiotics will go through more quality assurance testing than pet grade probiotics, thereby ensuring they are better regulated and of higher quality. However, experts are divided on whether this is a good idea. All those probiotics for humans may not have the best bacteria blend for canines. Some do, however, think it is perfectly fine to give your dog human probiotic supplements. Unfortunately, we have yet to find any relevant research on this subject, and it remains in the dark whether it's definitely a good idea. Personally, I would stick with probiotics intended for canine consumption, just to be safe. However, it's just my personal preference. Many vets seem to agree that probiotics for humans are totally safe for pets. 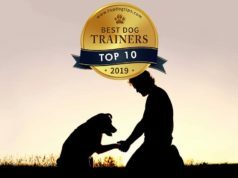 When you're on the lookout for the best probiotics for dogs to give to your pooch, you can look at online vendors to find some of the best selling products. Online stores such as Amazon often have customer reviews on the site, which can give you a good indication of how these products worked for their pets, what side effects and benefits they noticed. The internet is full of information about the benefits of these best probiotics for dogs. The dosage information will be on the products that you buy. Make sure to read the ingredients label, know exactly what's in the product and how to administer it safely. 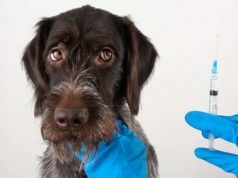 Finally, even with the wealth of information at your fingertips, you should always check with your vet if your dog is sick, or experiences any reaction to probiotics. I would even do this before starting him on a probiotic regimen just to make sure it fits his lifestyle.